Black and white negative of Eleanor Adams holding her son Eric in her arms. Eric is holding his hat in his hands. A hill is visible in the background. 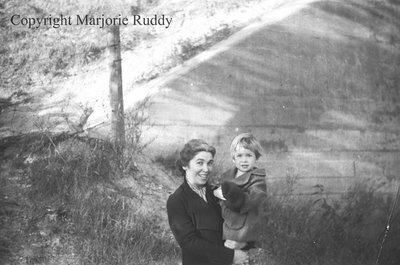 Eleanor & Eric Adams, October 9, 1938, Marjorie Ruddy. Whitby Archives A2013_040_950B.